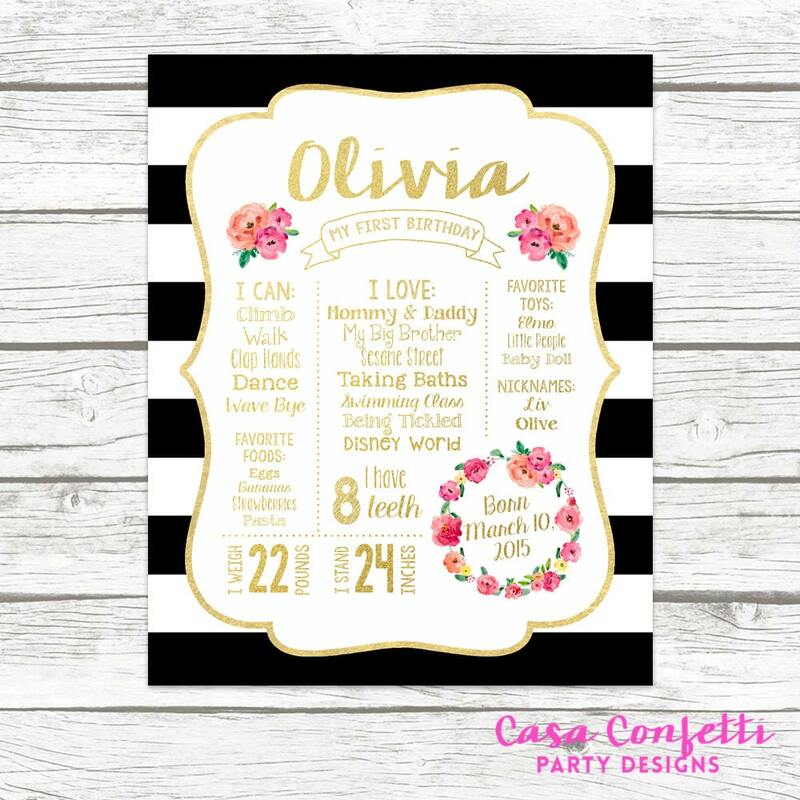 This beautiful design will add the perfect touch to your baby girl's first birthday! Such a sweet way to document this stage of her life and remember all the memories that made her first year so special! With its bright florals, modern black and white stripes, and gold foil lettering, this is sure to set the stage for a sweet celebration!